Believe it or not, I have mixed emotions about honey. I love the flavor and everything about it, except the fact that it is made by insects. Just thinking about the legs and mouths of tiny little bugs preparing my food is creepy. But on the other hand, I try not to think about where milk comes from, either. But wherever we get it, honey is a wonderful food. It is super sweet, yet healthy. It has anti-bacterial properties and can keep for a long time. It’s good for a quick pick-me-up, or to soothe a sore throat. It’s uses are many. Yet, even with honey, too much of a good thing can be a bad thing. Western society has a problem knowing when to say, “no.” We eat far more than is sufficient for us, and our waste lines can prove it. However, some people are starved for good things. Even simple pleasures like honey may be hard for some to get. Therefore, when they do manage to lay hold of them, they eat like there is no tomorrow. They eat until they get sick, which leads to vomiting. They eat more than what was sufficient to meet their need. Why do we eat more than what is sufficient? Most of us overindulge because our bodies allow it. We have grown accustomed to eating more than is sufficient, so we normally have no food left before we reach the point of throwing up. But why do we do it? Maybe fear (a lack of faith) has a lot to do with it. Like a dog starved of food will gulp down everything it is given in just a few bites, we sicken ourselves on good things like there is no tomorrow. In Exodus sixteen we can read of how God gave the people of Israel manna in the wilderness. Yet, God told them only to collect enough for each day, and no more; the rest would spoil. There was no need to worry, for God was faithful. Could it be that we have no faith? Could it be that we have trained ourselves to take more than is sufficient because we don’t trust God to provide what is sufficient for tomorrow? What a waste, especially since all the extra will end up on the ground. My son, eat thou honey, because it is good; and the honeycomb, which is sweet to thy taste: So shall the knowledge of wisdom be unto thy soul: when thou hast found it, then there shall be a reward, and thy expectation shall not be cut off. There is something special about honey. My father has honey every day as part of his breakfast. Dad spreads it on Weetabix instead of eating his Weetabix with milk like the rest of us. A friend of mine uses honey as a sweetener in his coffee. We use honey for medicinal purposes as an ingredient of the ‘hot toddies’ we make to fight off winter colds. My soon to be daughter-in-law uses a special honey from New Zealand for her throat when illness threatens her ability to sing. A search on Google throws up many other potential uses for honey, some of which are stranger than spreading it on Weetabix. Interestingly, honey was first mentioned in the book of Genesis when there was famine in the land and Jacob needed to buy grain from Egypt (Genesis 43). In this instance honey was part of a gift, inferring that there was value attached to a pot of honey (something Winnie the Pooh was well aware of). Then in Exodus God refers to the land He has promised to the Israelites as a land ‘flowing with milk and honey’ (Exodus 3:8). Scripture leaves no doubt concerning the importance of honey, so it is interesting that first David (Psalm 19:10 and Psalm 119:103), and then Solomon compare the preciousness of honey to the words, judgments, and wisdom of God. If honey is good for your health, then wisdom is good for your spiritual welfare. Honey is good for the body, and it is also good for the soul when it serves as a reminder of the wisdom of God that we need to seek and apply to our lives throughout each waking day. Over the last few days we have been talking about the heart of a wise man. Today’s verse continues our thought and explains to us that a wise man’s words are pleasant as honey and are sweet and healthy to us all. 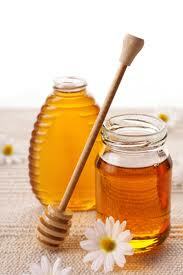 In ancient days, honey was not only used to sweeten food but it was also used as medication for healing. It’s amazing what we can learn when we read the Word of God! When was the last time you used pleasant words? When was the last time you used your words to build someone up instead of tearing them down? To encourage them instead of discouraging them? The words we use each and every day can be used for good or for bad. Too many times we use our words in ways that are destructive or deceitful. Wise men and women know, not only what pleasant words are but when to use those words. Lord, please help us to use our words to build up and not to tear down. Help our words to be pure and sweet and healthy to others. 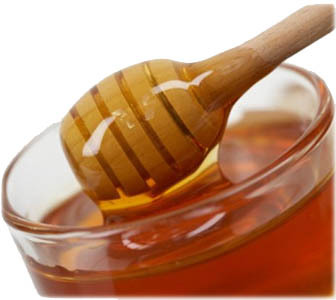 There are fifty-six references to honey in the King James Bible, the first in Genesis 43 when Jacob (aka Israel) was sending ten of his sons to Egypt for grain. Honey was included as part of a gift to the Egyptian ruler, who was holding another son in prison, and just happened to be Jacob’s long lost other son, Joseph. Before Joseph went missing he had a habit of blowing his own trumpet, described in this proverb as searching his own glory. Dad Jacob was partly to blame for having a favorite, and for not having a quiet word in young Joseph’s ear about keeping a low profile in an attempt to increase his rating in the popularity stakes with his brothers. Jacob must have known that his favorite son was not making many friends, but putting him on a pedestal was a big mistake, and one that led to the brothers taking action to bring dear old Joe down a peg or two. In fact, most of them would have been happy to leave Joseph to die. Ouch. Why such drastic measures? Because folk who spend all their time telling other people how good they are at everything become extremely difficult to tolerate. Joseph came down many pegs very quickly when he was sold as a slave and carted off to Egypt. He had to start at the bottom and work (possibly a new concept for Joseph) his way up. But it seems that Joseph learned quickly. Despite the ups and downs of life in Egypt, including time in prison for something he didn’t do, Joseph eventually became second in command of the entire country. And that just shows what God can do when we let go and let God have His way in us. Learning from mistakes is not always easy, but when we are fully surrendered to God then stuff we might previously have thought to be impossible happens. Look at Joseph – the mouthy big-headed kid who became a slave in a foreign land and ended up in charge of that country. God’s plans for you might not be so grand, but you can be sure that there is stuff He wants to do through you, lives He wants to touch, people He wants to reach. Are you ready, willing? Then let go and let God take control.